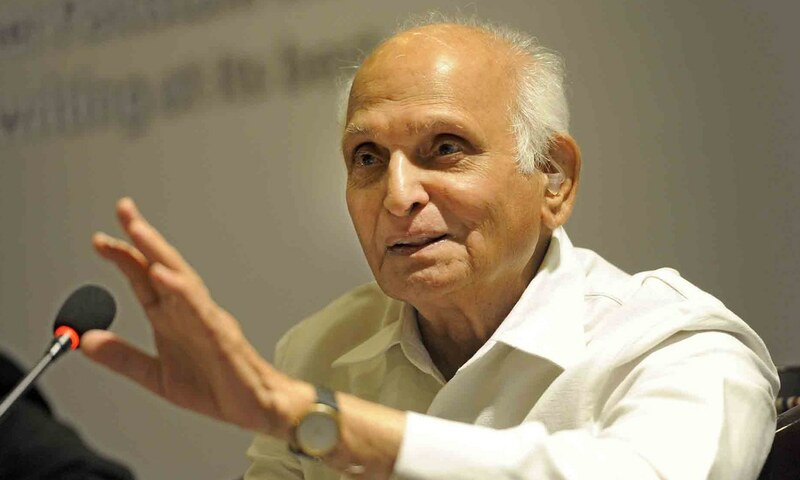 Where the sparrows chirp, the cuckoo sings, the trees sway and the monkeys frolic, there lives Intizar Husain. In his idyllic abode, there exists no distance between the human and the natural, between the real and the ethereal. In fact the two worlds appear fused into each other. There is, indeed, no transition from one to the other but only a continuous flow in which everything – even houses, streets, trees, apparitions and ghosts – seems to be an inseparable ingredient of the community’s life. Sadly this heavenly lodging exists only in the mind of its sole human dweller. For young Husain, born on December 12, 1925 to a “fundamenalist" father, life in Dibai was an unceasing carnival of religious festivities. But Husain’s relationship with Partition is not a typical one. He did not mourn the loss of communal harmony as Krishan Chandar did. Nor did he attempt, à la Saadat Hasan Manto, to unveil the hidden evil that human beings are made of, which made itself visible during the Partition. He also did not eulogise a romanticised vision of the past as Qurratulain Hyder did. Rather, he saw the Partition as the beginning of a new era, which witnessed bloodshed because it failed to create an organic relationship with all the past eras and carry forward the continuity of a historical sensibility. In other words, he did not repeat the past for its sake but for the sake of the present; he brought in the former so that it could have a bearing on the latter. Intizar Husain is as loath of sitting on judgment on his literary creations as he is opposed to employing formulae and generalisations to understand literature. “Creating literature is like being in love. Both the writer and the lover cannot explain why they are doing what they are doing,” he tells the Herald. But where did this past begin? In one of his essays, he says: “A new era does have a start, but where does the past start from?” He repeats the question in his 1987 novel Tazkara. Nevertheless, Husain is also conscious that his short stories do not just become a search for the lost epochs. “…if a short story writer in Pakistan traces his link to the conflict in Karbala and the battle of Badr, it means that he is striving to incorporate the experience of Indo-Islamic cultural experience and the historical consciousness of 1400 years into the new sensibility of the nation. And in this relationship the past, the present and the future become an unbroken community.” His view of history as a continuous thread resembles his view about life which he conceives as a continuum between the natural and the human, between the external and the internal. In the newly created country, the young writer flourished. In fact in the 1950s and early 1960s cultural and literary battles were at their fiercest and Husain was at the forefront. Still unmarried but with a stable job (first at dailies Imroze and Afaq and then a long stint at daily Mashriq that started in 1963 and ended in 1988) he had plenty of time to spend at the Pak Tea House, as a leading member of Halqa-e-Arbab-e-Zauq, debating the finer points of arts, culture and, most notably, literature. His foremost concerns then were the cultural invasion of the West and the introduction of a modern way of life. This made him take up cudgels against realism in writing and the impact of the motorised mobility on the cultural sensibility. Husain acknowledges that there is nothing wrong in knowing the literature of the other parts of the world and experimentation in literary techniques but he insists that it should not happen at the cost of the local experience. “Even in the West writers such as James Joyce broke away with the realist tradition as early as the start of the twentieth century after Einstein and Freud put paid to the rationalist worldview,” he tells the Herald. In Pakistan, though, short story writers kept following one or the other of the three stalwarts of that movement — Chandar, Manto and Ismat Chughtai, though much has changed since then, he writes. In his own search for a perfect technique, nevertheless, he has tried to understand what Joyce had done but spurned it after he found immense possibilities in employing the techniques used by Muslim Dastaans, Buddha’s Jatakas and the stories of Mahabharata. “These are strange and complex stories. Before one story ends, the seeds of another start sprouting … Some stories start laying eggs and bearing children even in the middle. This is a much bigger puzzle than (Joyce’s) Ulysses is,” he writes in his 1980 essay “Afsanay Main Chautha Khont”. For millions of others, migration was far from a smooth affair.The riots shattered the romance of communal harmony that Intizar Husain was living in.“As a writer, I am a creation of the Partition,” he says. As Husain was discovering this strange world of ancient religious literature, his own was transforming. In the 50s and 60s, life in Lahore changed at such an alarming pace that he was at a loss to make sense of it. When the tonga was banned on The Mall during daytime it was a huge shock for him. In a 1959 essay, he writes: “In Lahore where I live there are straight and shiny roads armed with buses. They neither allow one to lose the path nor do they stimulate one’s imagination.” He was so distraught with the felling of a single tree that he wrote a column on it and read an essay on its demise, much to the chagrin of the progressives who castigated him for ignoring the more pressing problems. What they failed to realise was that this was important for Husain because it signalled the severance of the relationship between the human and the natural and the internal and external. As the natural was overtaken by the modern and the external was monopolised by concrete and asphalt, Husain increasingly found solace in his internal world and nostalgia, best exemplified in his 1980 novel, Basti. This was the beginning of the end for him and not just in terms of the external reality no longer being able to create an environment conducive for a literary expression. This was indeed his first major disappointment in his new homeland. Between 1950s and the publication of Basti, external reality was not just impacted by development but also by radical political changes which resulted in the secession of East Pakistan in 1971 as well as a deterioration in individual and collective moral standards. 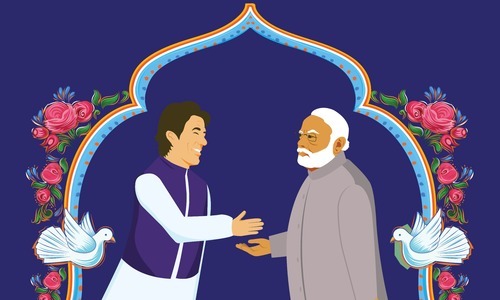 For Husain, the dream of creating a country where a continuous Indo-Muslim historical consciousness would create an ideal state and society was shattered once and for all. After that “I never reconciled to my present,” he says. “Inside me the battle between the past and the present rages all the time,” he tells the Herald, but the winner is always the past. “As much as I live, I live in the past,” he writes in his 1987 novel Tazkara. By the time he wrote his next novel Aagay Samandar Hai in 1995, his frustration had become obvious. Yet he avoids discussing his work in that light. “If a reader thinks that the novel proclaims the termination of hope, so be it. I don’t interpret my writings,” he says. But he wonders if there can still be some hope left in Pakistan’s future. But he never hesitates to call a spade a spade when it comes to his literary opponents. “They accuse me of nostalgia. Look at what they are doing themselves. Hameed Akhtar (a luminary of the Progressive Writers’ Movement) is now writing column after column about the good old days of the movement. When I wrote on the felling of a tree, it was a reactionary step. Now talking about environment is fashionable and progressive,” he says in his sure, calm and rather low voice. However, this does not mean that he has not given praise where it was due. For instance he does not grudge Faiz Ahmed Faiz the status of being the “only major poet of the progressive movement” for the sweetness of his diction and for his ability to turn the “slogan into a song”, though elsewhere in his essays he satirises the poet for not being able to write solid verse. His generation, he is sure, produced some of the best writers and poets in Pakistan. In fact immediately after the Partition he announced that people such as Nasir Kazmi, Saleem Ahmed, Shohrat Bukhari, Anjum Romani were “the poets” of that age. It seemed to be obvious to him to mention his name as “the short story writer” of the period; most of the rest were only repeating what had already been written. Fast forward to 2007, Husain seems to have changed little in terms of his relationship with his contemporaries, the subject matter of his writings and his technique. He also appears to have continued with his likes and dislikes. In his eighty-first year, he lives alone after the death of his wife (he married in 1966 at the age of 41 and has no children) and is far removed from the fads and the fashions of the day. He hates to discuss cricket (he believes it to have resulted from a blind following of the West), avoids indulging in debates about religion and shies away from mentioning politics. “I have never been interested in politics. Even during my school and college days I was more interested in reading and writing,” he says, though he reads the newspapers regularly. Not just that he has been writing a regular literary column since the early 90s, first in the Frontier Post and now in Dawn. In a daily life that has all the ingredients of a rigmarole routine such as bathing, shaving, visiting people and places, Husain likes to start his day with a walk at the Lawrence Gardens … where the sparrows chirp, the cuckoo sings and the trees sway. Only monkeys don’t frolic here; straight out of his own short stories, they may be spotted everywhere outside the Gardens. This was originally published in the Herald's June 2007 issue.